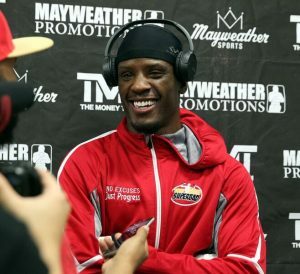 Tony Harrison got a much needed victory to build some momentum in his career as he scored a clear but somehow only a split verdict over the game but outgunned Ishe Smith at the Sam’s Town Hotel in Las Vegas on Friday night. Harrison (27-2, 21 KOs) used his superior size, reach, and punching power to offset the very durable and always tough Ishe Smith as Harrison displayed his jab throughout the fight. The change in momentum of the fight was in the third round as Harrison scored a knockdown with a clean overhand right that buckled and dropped the former champion. The 27-year-old got the confidence boost he needed as he seemed to run away with the bout thereafter. He hurt Smith on multiple occasions throughout the fight and seemed to be on verge of a stoppage win in some of the later stanzas. Smith who dropped to (29-10, 12 KOs) with the defeat, showed tremendous toughness by be able to last the distance. However, he had trouble with the length and range of the younger challenger and was limited to only spurts of success has he tried all night to get inside of Harrison’s reach and land devastating punches. Despite getting dropped and stunned in the contest on multiple occasions, one judge had in his favor by the score of 95-94. Harrison almost made a statement by being very close to being the first to stop Ishe Smith, but it wasn’t to be and settled for the split decision victory. With the win, Harrison moves closer to title contention and perhaps will get opportunity for a title eliminator in his very next bout. In the co-featured bout Andrew “The Beast” Tabiti kept his undefeated record intact with a knockout win over Lateef Kayode in their scheduled ten round bout. The first five rounds was an ugly hugfest fight as Tabiti (16-0, 13 KOs) spared the audience by ending it with a right uppercut in the sixth round and scoring an impressive knockout victory. Kayode (21-3, 16 KOs) dropped to his knees and was unable to beat the count. With the victory, Tabiti moves closer to title contention in the talented cruiserweight division.